We’re taking a break from our weekly pep talks this summer, so for June and July, we’re hooking you up with an over-stuffed monthly pep talk instead. Set up your telescope on June 3 to see Saturn at its brightest—with a decent telescope, you should be able to see some of the planet’s rings and moons. June is Camping Month, so pitch a tent in your backyard for an outdoor sleepover. Make s’mores on the grill, put on a flashlight shadow puppet play, and do a little star-gazing. Take advantage of the sunshine and turn your nature walk into art by making sun prints. Make sponge balls and have a backyard water battle. Celebrate Maurice Sendak’s birthday on June 10 by watching Where the Wild Things Are and reading your favorite Sendak books. (I vote for the creepy, Labyrinth-ish Outside Over There. Turn making lemonade into a fun science project. Celebrate Drive-In Movie Day (June 6) by seeing a movie at a drive-in theater near you. The Magna Carta was signed on June 15, 1215. Learn more about why this 13th century document still matters today by watching this video lecture from the James Otis Video Lecture collection. I think we all know the best way to celebrate World Juggling Day (June 18). This video is a great tutorial for newbie jugglers. To mark Log Cabin Day (on June 26), watch the documentary Alone in the Wilderness, a really fascinating account of a man who left the plugged-in world for the wilderness, building a log cabin and living off the land. When you want to grill but are feeling a little burned out by the same-old dishes, try this linguine with grilled clams and bacon. It’s unexpected and delicious. If you bought more eggplant than you know what to do with, serve these falafel-stuffed eggplants with tahini sauce and tomato relish. When the thought of cooking is just too much but everybody is insisting on eating dinner anyway, this chicken and peaches platter requires assembly only. Mix and match whatever’s in your fridge to make this leftover salads Nicoise. Anything you serve for dinner will taste better with this arugula, potato, and green bean salad. This tomato chèvre tart is delicious just out of the oven, but I’ve also been known to eat a cold slice right out of the fridge for breakfast. If it’s sunny, cook these Thai peanut chicken thighs on the grill; if it’s not, pop them in the oven instead. Feeling adventurous? This chilled crab and shrimp ramen salad is a staple on restaurant menus all summer long in Japan. This summer minestrone is easy to adapt—and a delicious way to stretch those first tiny garden harvests. Also a great way to use that late spring produce: spring vegetable bibimbap. I feel like book series and summer just go together, so for this list, I’m highlighting the first books in series I think make great readalouds—whether you stop after book one or keep going until the end. 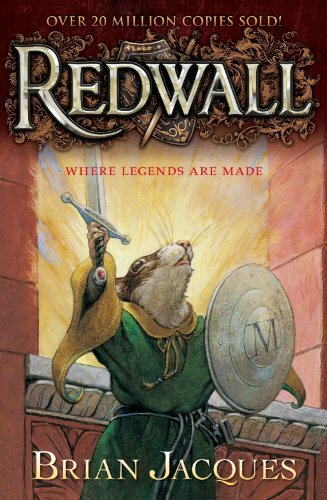 Brian Jacques’ birthday is June 15, and Redwall makes the perfect summer series readaloud: epic adventure, talking animals, and plenty of irresistible characters. 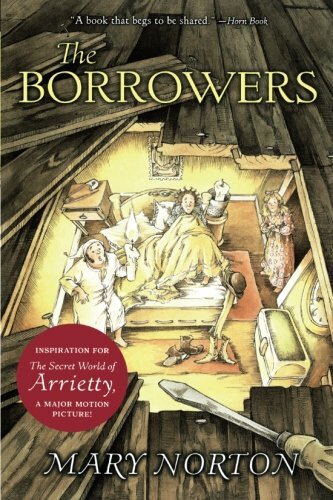 Arietty, Pod, and Homily are just trying to live their lives in a way-too-big-for-them world in The Borrowers. I love the way this book blends matter-of-fact details (like peeling potatoes!) into a fantastic world. 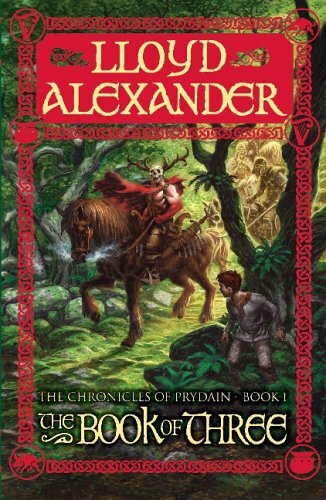 You’ll be captivated by the adventures of Assistant Pig-Keeper Taran and his friends (an enchantress, a bard, a dwarf, and a, um, Gurgi) in The Book of Three, the first book in Lloyd Alexander’s Chronicles of Prydain. 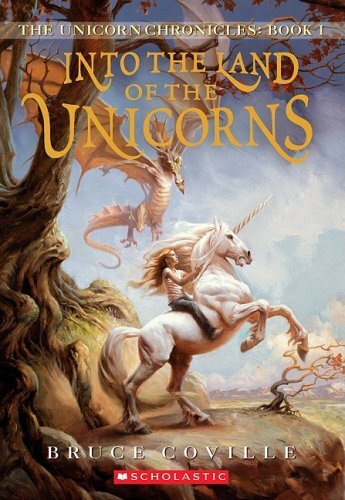 Cara discovers a magical world full of dragons, dwarves, nightmares, and more when she heads Into the Land of the Unicorns.